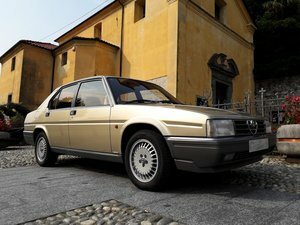 The classic 1900 series was Alfa Romeo’s first all new offering of the post war period. 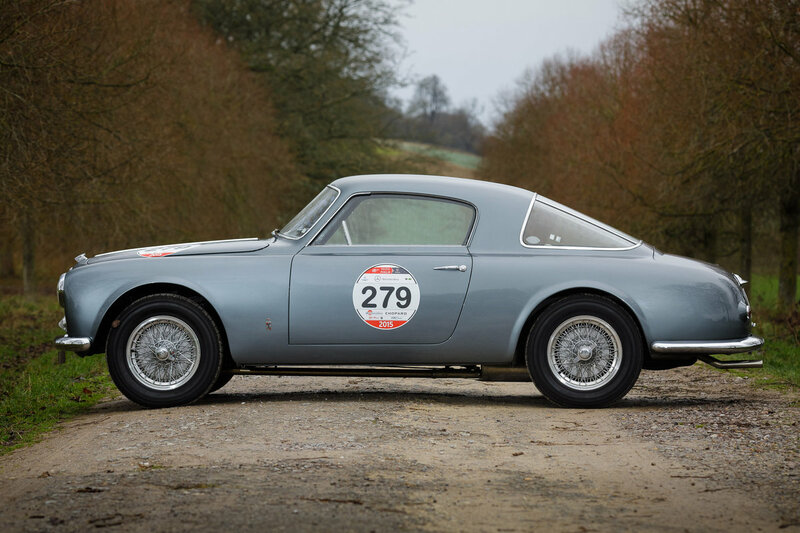 Introduced in 1950, the 1900 was designed from the outset with sporting credentials. 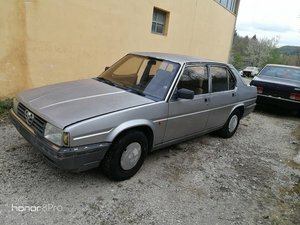 A twin overhead cam-shaft, 4 cylinder engine with wishbone and coiled sprung independent front suspension and a well located live rear axle. It was no surprise therefore when the 1900s in the form of 2 high performance derivatives. 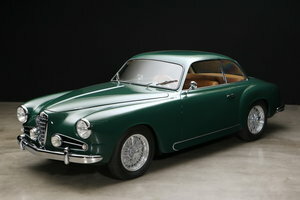 Launched in 1951 the 1900 Sprint featured body work by a number of coachbuilders including Pininfarina and Touring. Although Pininfarina were commissioned to produce the factory’s official cabriolet model, they also built a small number of coupes on the short (corto). According to the authoritative book ‘Mille Nove’ by H-J. 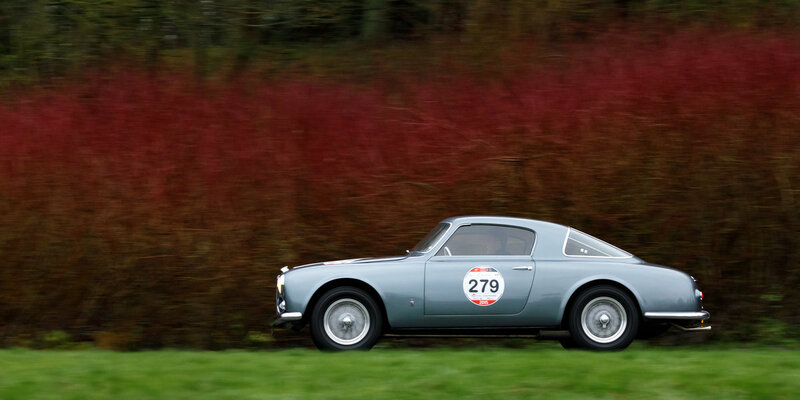 Dohren only 100 examples were clothed with this very elegant Pininfarina design were built on this short 1900 sprint chassis between 1952-53. Pininfarina used many weight saving methods in the design using very thin steel panels while opening parts were aluminium. 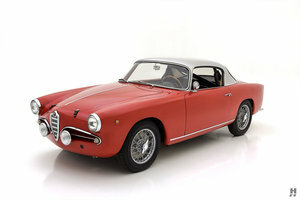 This stunning example was constructed in early 1953 and was for many years part of the renowned Mario Righini collection. Tucked away in a 15th century castle outside Modena, this exceptional private collection, committed to preservation housed such gems as 8C Alfas, and sports racing Ferraris. 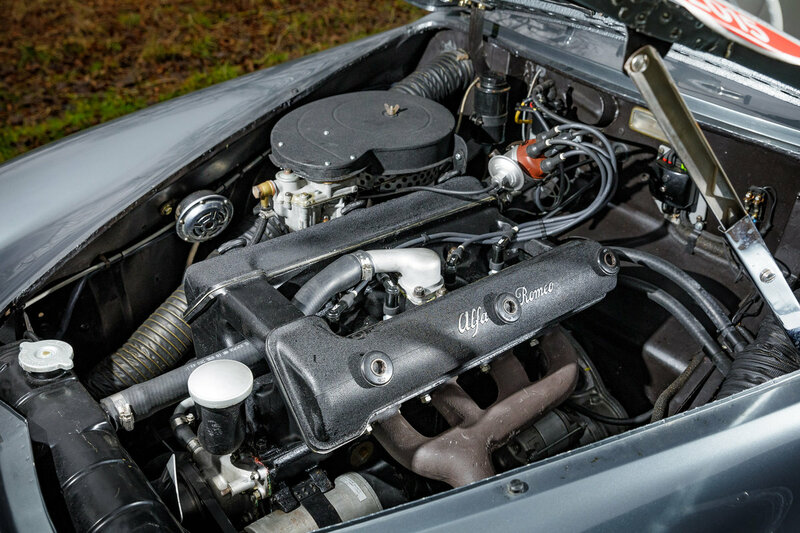 When finally prized away from its illustrious surroundings, the highly original car was given an extensive restoration in the UK by marque experts. 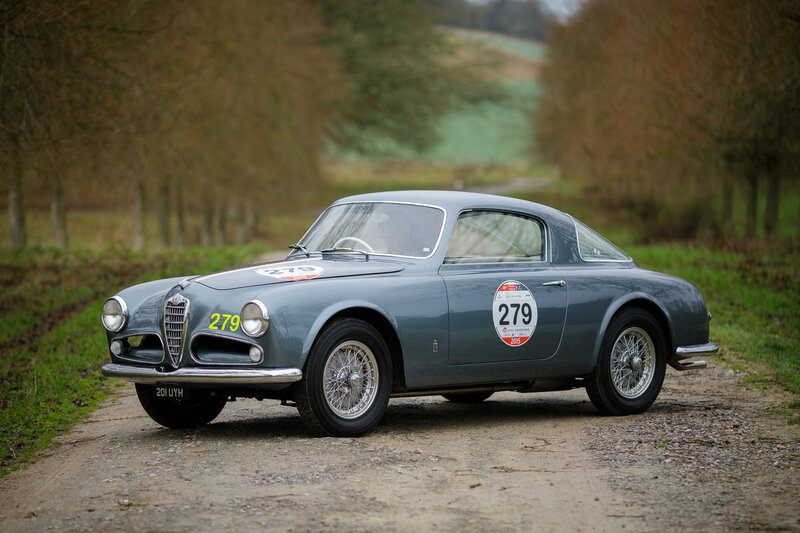 These works were carried out in preparation for the 2015 Mille Miglia. The present owner enjoyed it so much he would rather leave the stickers on! Indeed, entries are currently still open for next year’s event. 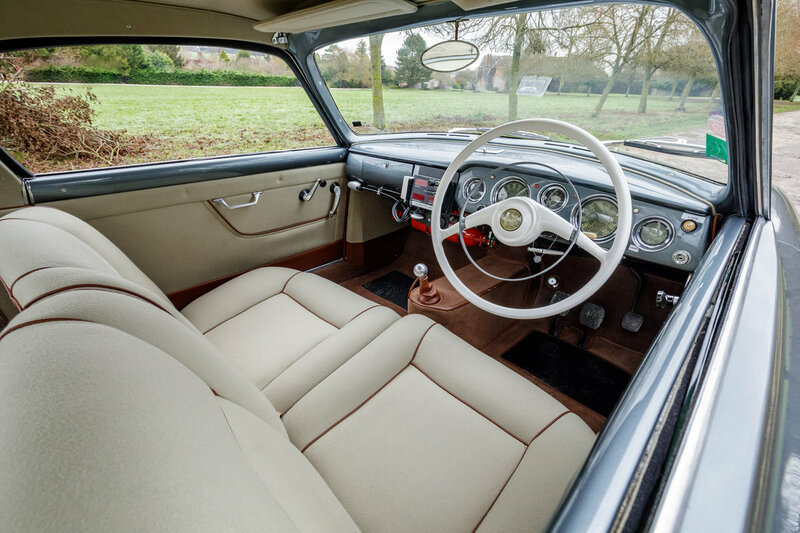 During the restoration the interior was re-trimmed in period correct (and very comfortable) mohair seats. 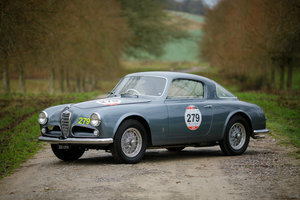 Post Mille Miglia the engine was serviced and adjusted by the specialist Giuseppe Candini in Modena. 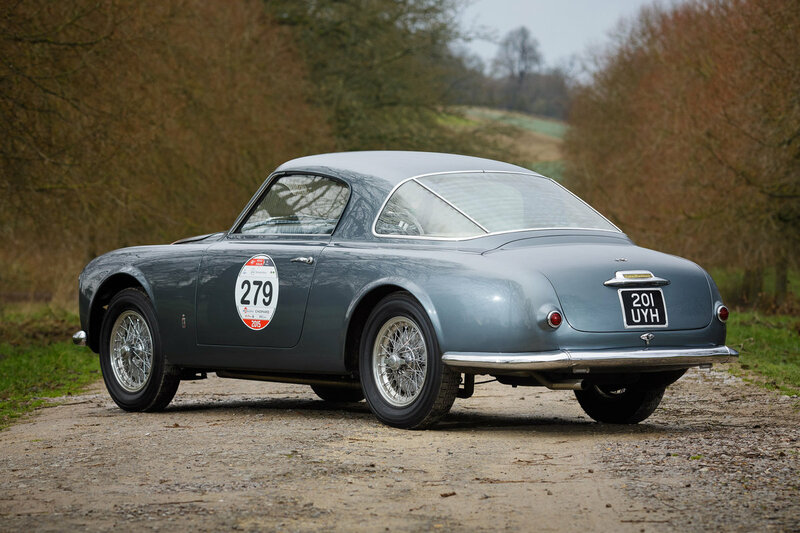 Complete with a FIVA document, this recent Mille Miglia entrant makes an ideal touring car for rallies and events throughout the world.